After using your Samsung Galaxy S5 for a few weeks now I'm pretty sure you already know how to play videos and other multimedia files. So, apparently, this post is for those who might still be learning the ins and outs of the phone especially the ones who just got their first smartphone. Step 1: From the Home screen, tap the Apps icon. 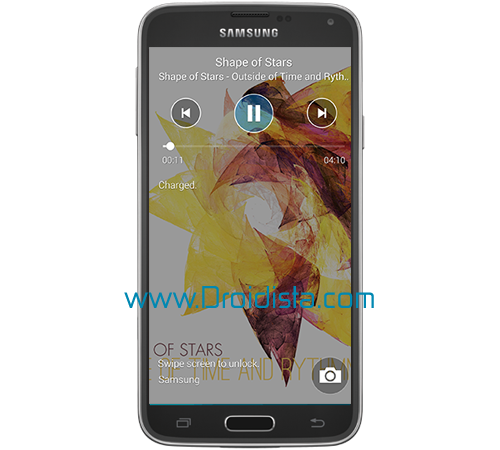 The newly-released Samsung Galaxy S5 doesn't have an FM Tuner that serves the purpose of the conventional radio tuners. That is why Samsung tried to compensate it with its new service known as Samsung Radio. The service isn't the same as the FM Tuner we were used to, nonetheless, you can listen to your favorite stations and playlists using the app known to many as Milk Music. But basically, it is a streaming service. Needless to say, you need to have an active internet connection, either mobile data or Wi-Fi, to be able to listen to music. After the Android 4.3 Jelly Bean update, which was rolled out in November last year, many Samsung Galaxy S3 owners complained about having their old emails getting downloaded again and reappearing in their inboxes. While many users claim this happens only to those who are using the stock email app, there were also others who said it also happened in their Gmail app. Samsung, as usual, didn't make a comment about this simply because the problem is minor and doesn't actually concern the hardware or any Samsung services. Problems like this can easily be blamed on the app, so we couldn't expect Samsung to roll out a minor update just to address this problem, although thousands, if not millions, of owners are complaining about problems they encountered after the 4.3 update. 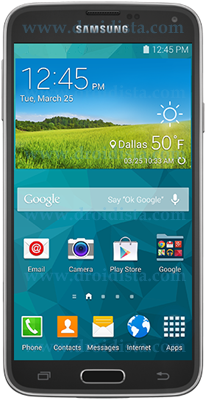 This post is actually just a walk through of the Samsung Galaxy S5 lock screen and its accessible features. You probably just mastered the lock screen feature of you new phone especially if you've been using it for a few weeks now. But for the benefit of those who are still trying to learn this new beast, this post can surely help you. Perhaps one of the most obvious reasons why lock screen exists is to prevent pocket dialing but since smartphones are supposedly smarter, owners are now given the power to access some features. There are already a lot of reports from Samsung Galaxy S5 owners that they are getting the error message, "Warning: Camera Failed." This problem also happened to the Galaxy S3 and S4, although it wasn't really that common. The thing about this issue is that it could be just the camera app acting up or it could also be a hardware problem. 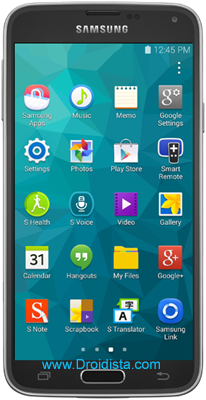 The Samsung Galaxy S5 has a built-in mobile data usage monitor that would help you manage your data usage better. The built-in application will tell you how much data you've already used, and which app or service uses more data. There is no need for you to download and install third-party data monitor from the Play Store. Step 1: From the Home screen, tap the Apps icon and then the Settings icon. Your new Samsung Galaxy S5 smartphone can connect to Microsoft Exchange ActiveSync server and sync your email, calendar, contacts, tasks, and in some cases, even SMS messages. You, however, need to know the server settings for the sync to be successful and that you can download your messages to your phone. Step 1: From the Home screen, tap the Apps icon and then Settings. Smartphones are built in a way that people can easily understand them and one of the things most Android phones have is the LED indicator. Your new Samsung Galaxy S5 has sets of notification lights that would tell you what's happening inside the device even if the screen is off. In the top-left corner on the front of the phone is where the LED indicator was placed, although it sits beneath the glossy cover. There are, basically, three colors the indicator would emit: blue, red and green. In this post, I will list down the meaning of each notification, although I have a feeling you already know them by heart. This is for the benefit of those who are still learning the ins and outs of their new phone. 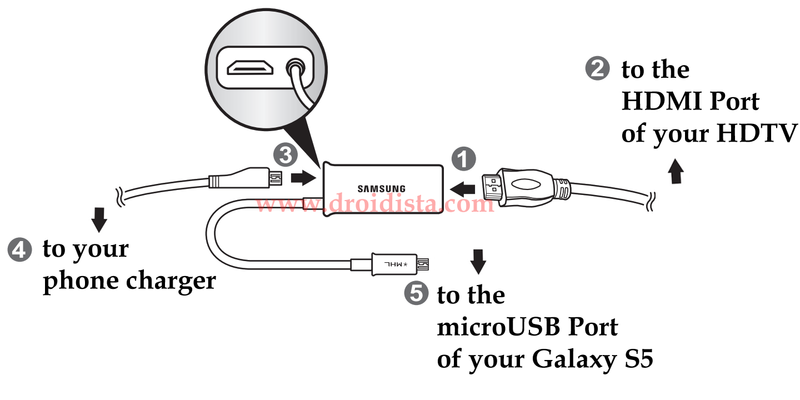 UPDATE: I just published Three Other Ways To Connect / Mirror Samsung Galaxy S5 To Your HDTV to give you three other options to connect your Galaxy S5 to your TV. Like its predecessors, the Samsung Galaxy S5 can also be connected to your HDTV to mirror whatever it is that you want to play on your phone and mirror it on a larger screen. 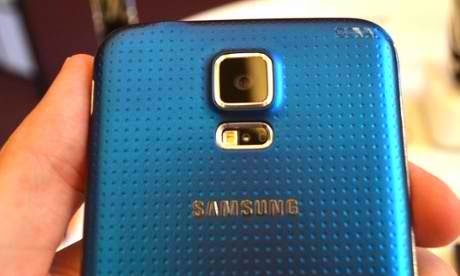 The thing, the hardware configuration on Samsung's flagships was changed since the Galaxy S3. Thus, you will need to have a specialized adapter so you can mirror your phone to your TV set--this is for the wired connection. In case you want to mirror wirelessly, you need to purchase a much expensive equipment called AllShare Cast Wireless Hub. Samsung, as expected, sells both the specialized adapter, known to many as the Samsung HDTV Smart Adapter, and the AllShare Cast Wireless Hub. 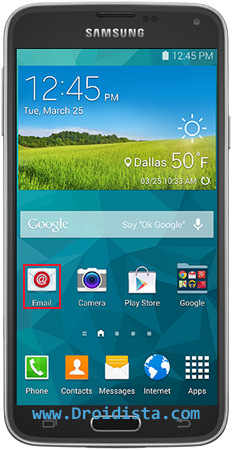 There are two ways you can take a screenshot on your new Samsung Galaxy S5. While these ways are pretty simple, it is best you know them especially when you always want to share something interesting on your phone. 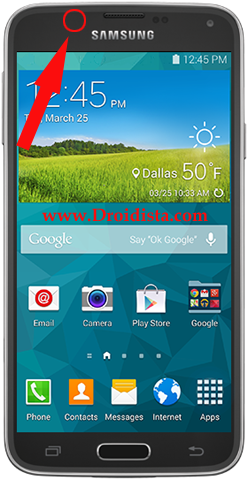 The Samsung Galaxy S5 comes packed with My Places feature, which provides users relevant information and services based on the owner's location. This post will guide you through setting up My Places on your phone to maximize its functionality. Step 1: From the Home screen, tap the Applications icon. Step 1: From the Home screen, tap the Apps icon and the Email app. Step 1: From the Home screen, tap the Apps icon and touch Settings. The new Samsung Galaxy S5 comes with two power saving modes: basic and ultra. The difference between these two is that the basic Power Saving Mode will just tone down the phone's performance while the Ultra Power Saving Mode will handicap the device turning on only necessary services. This post will guide you through enabling both power saving modes. Step 1: From the Home screen, touch the Apps icon and then choose Settings. One of the neat features the Samsung Galaxy S5 will bring is the Private Mode. Basically, what this "mode" does is hide data like pictures, videos, music, voice recordings and even files you saved in the phone's memory. 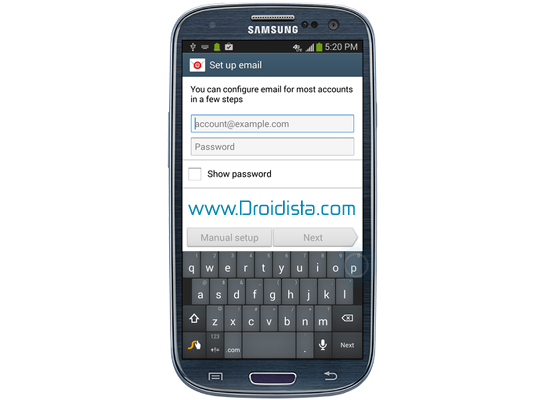 Not only does files are kept hidden, Private Mode can be secured by a swipe pattern, PIN, fingerprint or a password. Before I walk you through enabling Private Mode and hide files, this is how it really works. You need to turn Private Mode on so you can select files you want hidden and setup your security preference. Once you already selected files, you need to turn Private Mode off to hide them. This functionality is deeply rooted into the phone's system disallowing any apps to access files that are protected. For those who know Android system in and out, they may be able to find loopholes on how to locate those files and perhaps Private Mode will be disabled once the phone is rooted. But anyhow, it is a really good feature and kudos to Samsung for integrating it to the Galaxy S5. Step 1: From the Home screen, tap the Apps icon and then launch Settings app. 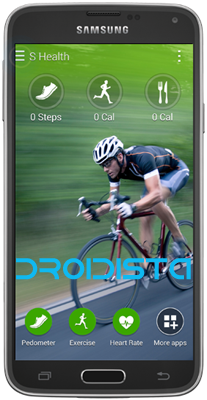 You may have already known that Samsung's next generation flagship smartphone, otherwise known as the Samsung Galaxy S5, will come with a built-in heart rate monitor integrated into the pre-installed app S Health. This guide will walk you through using both S Health app and Heart Rate Monitor. This feature will, of course, be useful for people who are active and those who are conscious about their health. People with heart diseases, however, are advised not to depend on this feature because while it is a good perk, accuracy may differ from the real heart rate monitors used by medical institutions. The S Health app is Samsung's initiative to integrate health services with high-end devices. So we can expect that there are more services that would be integrated sooner or later. 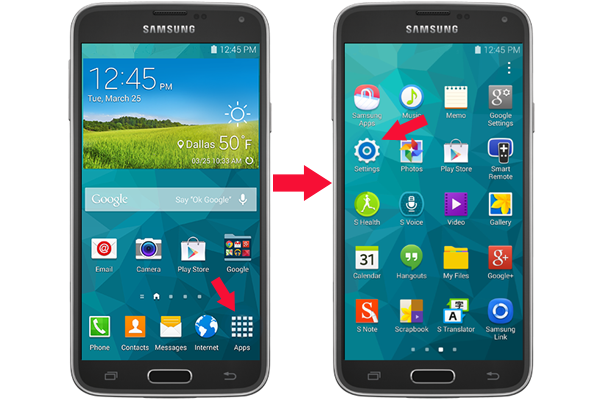 From the Home screen of the Galaxy S5, tap the Apps icon. Find and tap the S Health app. Read the terms and conditions, mark the I agree checkbox and tap Next. If you have a Samsung account, it is recommended you sign in so you can easily track your stats. You may tap Skip if you don't have one. Now enter your name, gender, and date of birth, and then touch Next. Enter your height and your weight, then hit Next. Choose you activity level. You may choose from Level 1 through 5. Tap Next. You may review your profile information and tap Start when finished. The S Health main screen displays the day's statistics and graphical representations of your data. Touch the More icon in the upper-left corner to access S Health features. From this menu, you can open S Health features that help you track your steps, exercise, food intake, and more. Click Next to complete the steps. 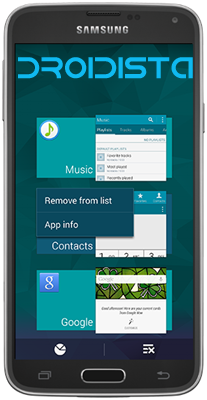 This tutorial will guide you through clearing or closing recent applications and how to call on and access Samsung Galaxy S5 Task Manager. These procedures will help boost your phone's performance and most likely to resolve freezes and lags on your device. Here's how you display and close recent apps on your phone. From any screen or app, touch the Recent key to access the Recent applications screen. Now, a list of apps will be displayed on the screen. To close any of the apps, touch and hold its thumbnail. Touch Remove from list to prevent the app from running in the background and remove it from the list of Recent applications. Or, you can simply swipe the thumbnail left or right. To manage the app, tap App info and you will be brought to the Application manager. To close all apps in one touch, tap the Close all icon at the bottom right of the screen. 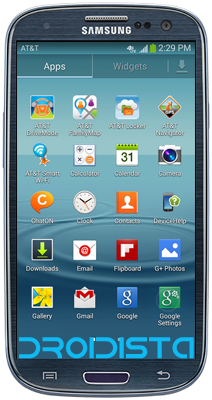 This post is a troubleshooting guide to help you determine the cause why your Samsung Galaxy S3 will not turn back on. Once you know what the reason is, that's the time you can come up with procedures to bring the phone back to life. This includes glitches or issues caused by third-party apps, pre-installed apps and the Android system itself. This is the easiest and safest way to start your troubleshooting with not to mention you don't need some tools to do so. 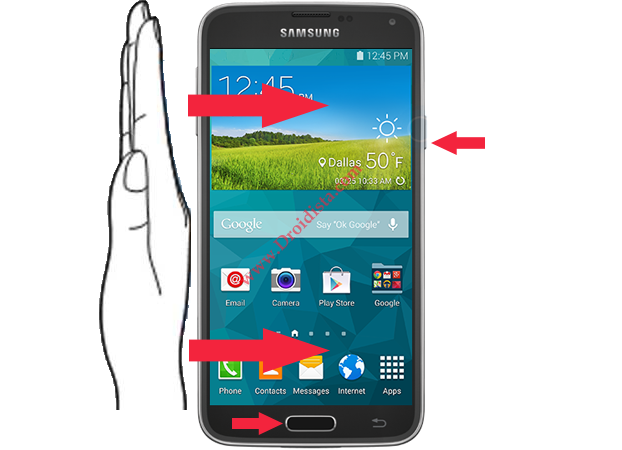 The following procedures will help you determine whether the cause of the Galaxy S3 not turning on is software-related or not. But again, I want to remind you that the goal of this post is to turn on your phone. If we'll know what caused the problem, we'll know how to solve it. Call Forwarding is a very handy feature that comes with any smartphone available in the market today. This post will guide you through setting up the feature on your new Samsung Galaxy S5 phone. It will include setting up unconditional and conditional call forwarding as well as how to cancel it. Scroll to 'APPLICATIONS' section and then tap Call. Tap Additional Settings then choose Call forwarding. Now enter the phone number you want to forward all calls to.